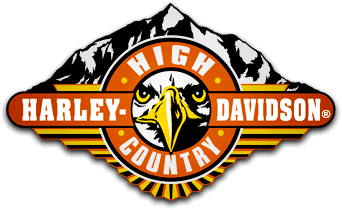 For this tour we’ll be meeting at High Country Harley Davidson in Fredrick Colorado. Kickstands up at 10am. Click the map to see full size. Now it’s off on the first leg to in Masonville Co. where we may stop at the the Masonville Mercantile. The Masonville Mercantile is a store nostalgic to the old west. Nestled in the foothills just past Horsetooth Reservoir the Masonville Mercantile is truly a parlor to the past, showcasing racks of vintage-themed clothing, historic relics and true western culture. Now it’s up the canyon through Gould and on into Walden Co for a late lunch at the River Rock Café. The town of Walden sits at an elevation of 8099 feet. Due to its elevation, Walden has a Subalpine climate closely bordering on a Semi-arid climate. It was established in 1889 and was incorporated 2 December 1890. Walden was named to honor Marcus Aurelius Walden, a local area postmaster. Kickstand up and off to Steamboat Springs Colorado for the night. Home to Bill Kidd Steamboat Resort is a major ski area. It is located on Mount Werner, a mountain in the Park Range in the Routt National Forest. The name of Steamboat Springs is thought to have originated around the early 1800s when French trappers thought they heard the chugging sound of a steamboat’s steam engine. The sound turned out to be a natural mineral spring, to be named the Steamboat Spring. Here you will have a variety of lodging options but we prefer Rabbit Ears Motel. Locally owned this motel has perks such as discounted passes to a nearby hot springs & free WiFi. With the Old Town Hot Springs just across the street you can’t go wrong. Soak away the trip in one of Colorado’s premier hot springs. This is an historic hot spring facility in the heart of Steamboat Springs, Colorado. Old Town Hot Springs has been a site for recreation and rejuvenation in this community for over 100 years because of the gift of the Heart Spring, the source of all the healing mineral water in eight pools. In addition to hot soaking pools, amenities include water slides, aquatic climbing walls, massage therapy, eight lap lanes, tennis courts, and a fitness center with classes, cardio equipment, and a weight room. Old Town Hot Springs is a must! A little Morning Joe and Eats and its kickstands up and we’re off over Highway 40 to Granby, CO. Here we’ll have a stop but don’t take to long because the next destination is Rocky Mountain National Park! We’ll be stopping at the top of Trail Ridge Road for snacks and the WOW experience. Trail Ridge crosses the Continental Divide at Milner Pass (elev. 10,758 ft or 3,279 m) and reaches a maximum elevation of 12,183 ft (3,713 m), near Fall River Pass (elev. 11,796 ft or 3,595 m). Near the highest point on the road is another pass, Iceberg Pass (elev. 11,827 ft or 3,605 m). Trail Ridge Road spans the Park and connects Estes Park on the east side to the town of Grand Lake on the western slope. It’s the highest continuous paved road in the United States, reaching an elevation of 12,183 feet. If your eyes are open you may also see Beaver, Bear, Moose, Coyote Mountain Lion and Mule deer along with a countless number of other critters. But please stay back! They are nice to look at but be careful. Okay, now it’s down into Estes Park for a stop and a shop. Estes is a great town with several local brew holes and nick knack shops. The Wheel Bar is one of our favorites, serving food and drinks everyday except Christmas since 1945. How can you go wrong! Orlando Mike Nagl (OM) and his wife Lee opened the doors to The Wheel Bar August 1945 in the Historical Building once known as the Josephine Hotel. Today it is run by OM’s grandson Ty and still operates in the same historical building. Next leg is across the Peak to Peak past Long Peak and down to the flats. Yep the next stop is High Country. Hope you enjoyed this trip. I know we do. This is one of our favorites.